The London Ballet Circle has a jam-packed programme of events scheduled until the end of 2017. Founded in 1946 by Stanley Hawkins, its founder President and first Patron was the founder of the Royal Ballet, Dame Ninette de Valois; Dame Alicia Markova succeeded Dame Ninette. 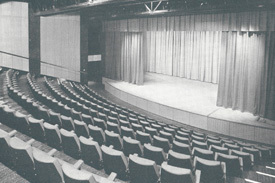 The aim of the Circle is to promote interest in dance – not just ballet – and associated arts by arranging a broad range of talks by dancers, choreographers and artistic directors; organising visits to the country’s top ballet schools; and hosting private tours of major exhibitions related to dance. Previous Circle talks have featured celebrated stars, such as Marianela Nunez, Thiago Soares, Mara Galeazzi and Edward Watson, and the scheduled events for the next few months looks just as engaging. Funds raised from the events of the London Ballet Circle are devoted to providing financial support to gifted student dancers whose school principals have identified as greatly benefiting from high level tuition provided via the Yorkshire Ballet Summer School, the Wells Weekends, and summer schools run by the country’s leading ballet companies. Early August saw Xander Parish speak, having recently been promoted to principal of the Mariinsky Ballet on stage at the Royal Opera House. Xander spoke in conversation with Deborah Weiss and Esme Chandler, including other recent achievements including being awarded an Honorary Degree by University of Hull in January. Xander joined the Royal Ballet Lower School, White Lodge in 1998 and continued his training at the Royal Ballet Upper School from 2002-2005. He joined the Royal Ballet in August 2005 before heading to Russia to join the Mariinsky. Maina Gielgud will speak on 11 September in conversation with Michael Broderick, with Robert Parker on 16 October and Ivan Putrov on 13 November. All talks are held at The Civil Service Club, London, with member entry £5, guests and non-members £8.